Researchers reported increased risk of ADHD in children whose grandmothers had taken diethylstilbestrol while pregnant. A cohort study of 47,540 women in the Nurses’ Health Study II reported significantly higher odds for attention deficit hyperactivity disorder (ADHD) in the grandchildren (F2) of women who took diethylstilbestrol (F0), an endocrine disruptor, while pregnant with the children’s mother (F1). 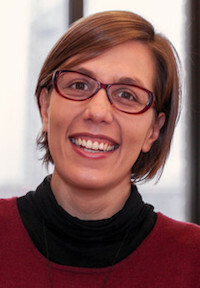 “It’s very important to start understanding that all these chemicals that we’re exposed to impact not only our selves but our children and future generations,” Marianthi-Anna Kioumourtzoglou, ScD, MSPH, assistant professor of Environmental Health Sciences at the Mailman School of Public Health told MD Magazine. Of the 47,540 F0 grandmothers included in the study, 861 (1.8%) were exposed to diethylstilbestrol while pregnant with the F1 participants. A total of 106,198 F2 children were included, and 5587 (5.3%) of them were diagnosed with ADHD. The use of diethylstilbestrol by the F0 generation was associated with increased odds of ADHD among the F2 children (adjusted OR 1.36; 95% CI, 1.10-1.67). The authors noted that the association was seen for diethylstilbestrol use during the first trimester (OR 1.63; 95% CI, 1.18-2.25). “We wanted to look at the neurodevelopmental outcomes because there have been animal studies that showing that other endocrine disruptors have been linked to behavioral alterations in 3 generations and further in mice,” said Kioumourtzoglou. "To date, and to our knowledge, no epidemiologic study has assessed multigenerational impacts of DES - or any other endocrine disruptors - on neurodevelopment." Diethylstilbestrol is an endocrine disruptor that was prescribed between 1938 and 1971 to prevent pregnancy complications. After a 1953 study showed no benefits, the treatment was phased out. In 1971 DES was banned because of links to vaginal adenocarcinomas in the daughters of women who had used DES during pregnancy. "While DES is banned, pregnant women continue to be exposed to a large number of environmental endocrine disruptors," said Marc Weisskopf, PhD, ScD, professor of Environmental and Occupational Epidemiology at the Harvard T.H. Chan School of Public Health, and senior author of the study. “Flame retardants, air pollutants, plastics,” said Kioumourtzoglou, rattling off a list of common ways people encounter endocrine disruptors in everyday life. Kioumourtzoglou added that most of these endocrine disruptors are much less potent than diethylstilbestrol, however, the effects of cumulative exposure are unknown. She said that a major challenge in studying these chemicals and their multigenerational effects is lack of databases and the time it takes to collect the data needed for a multigenerational study. “This is one study, the first study to show this. We need more studies. We did the best we could to avoid bias, but it’s still a single study,” said Kioumourtzoglou emphasizing the need for more research. The study, “Association of Exposure to Diethylstilbestrol During Pregnancy With Multigenerational Neurodevelopmental Deficits,” was published in JAMA Pediatrics.